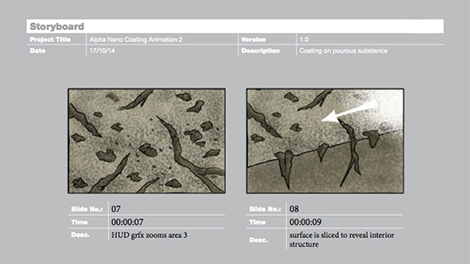 Production of a video demonstrating protective coatings on materials, combining slow motion film and animation. 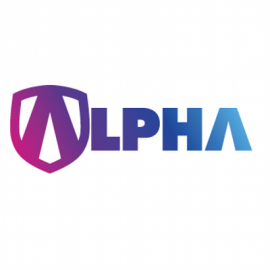 Alpha Nano Solutions is a global company who use advanced nano technology to coat and protect a wide range of every day materials. 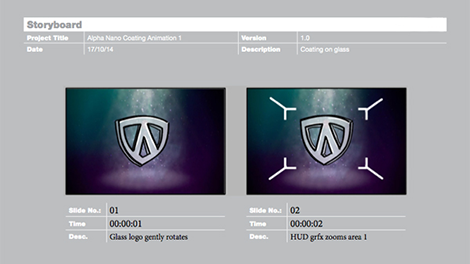 We were briefed to produce a video that explains, and demonstrates the process. Our creative treatment combined a voiceover led video with slow motion video shots of ‘before’ and ‘after’ demonstrations. We explored the process further with 3D animations of glass and brick surfaces illustrating the repellent features of the coating and impregnator products. 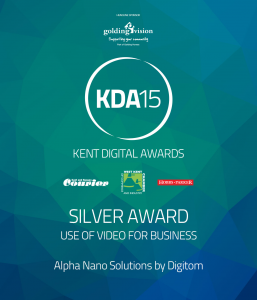 We had a very good experience working with Digitom, the storyboards were very well illustrated, helping us to understand the animation concept. Communication was very good and I’m very pleased with the finished product.